I wanted to give a much needed shout-out to two very amazing people who are expecting a baby!!! :) I got this postcard in the mail the other day - what a neat way to share such exciting news! This week has definitely been dragging... And for some reason, very stressful. I cannot wait to get away this weekend at Wisconsin Water-Ski State :) It will be a much needed fun and carefree weekend! I will have the chance to hang out with some amazing friends and cheer on teams that seem more like family to me than anything else. I woke up this morning at 5:30A but decided not to run. But instead of going back to bed for an hour and ruining my streak of early mornings, I took Mr. Parker for a long stroll through the neighborhood. It was nice spending a few extra minutes with him in the quiet, dreary morning weather :) I plan on going to the gym after work this afternoon and getting in a good workout with some weights. Is anyone else having the hardest time making it to the gym in this heat!? And then this morning, I came across yet another blogger who happens to be doing a fun contest for a chance to win a $100 Visa Card -- all you have to do is leave a comment on her page. Easy peasy, huh?! Go check it out! While I don't think my blog will ever be as amazing as some of the women's blogs that I read.. I am so grateful that they take the time to blog up to 3 times a day just for their readers. 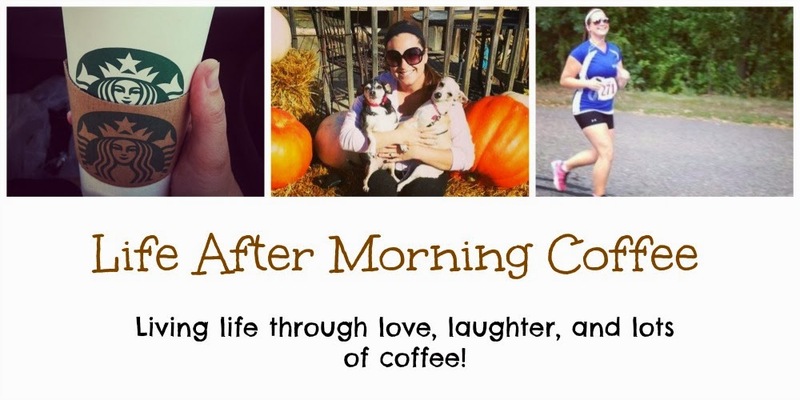 These women have amazing stories and want nothing more than to share their story with you and hopefully inspire you to make some healthy changes in your life :) Check out my "Favorite Blogs" tab to check out some blogs I try to read on a daily basis -- they really help me stay focused on my lifestyle goals!